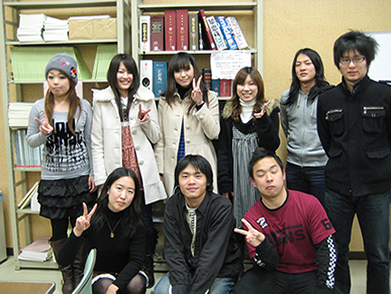 We are students of College of Policy Science, Ritsumeikan University. We have been conducting a project called "Decoding Kyoto." The purpose of our project is to help travelers and foreign residents in Kyoto overcome language barriers between Japanese and English. In 2008, we focused on sento (= "銭湯," which means Japanese public bathhouse), and created this guidebook "The Sento" to attract more travelers and foreign residents to sento. Most Japanese know and have experienced it, but in contrast, many people coming to Japan don’t or haven’t so much. We wish you to know how wonderful a place sento is. Sento is the place for us not only to wash our bodies but also to relax and communicate with neighbors. So your coming makes us very happy. This website will introduce sentos in four areas of Kyoto, around Kyoto Station, Kiyomizudera Temple, Kinkakuji Temple, and Nijo Castle. All areas are famous sightseeing spots, so you can come there easily. In sento, please enjoy yourself soaking in a hot bath, and have a good time in Japan. We know the good point of sento already through creating this book and the Web site. So it is your turn to come!